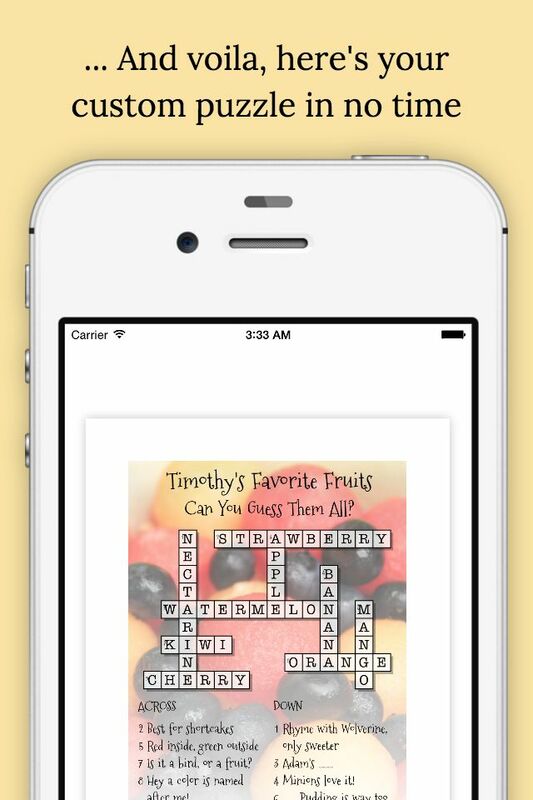 With Crossword Puzzle Maker, you simply enter the title, keys, and clues, and a gorgeous puzzle will be created for you almost instantly! 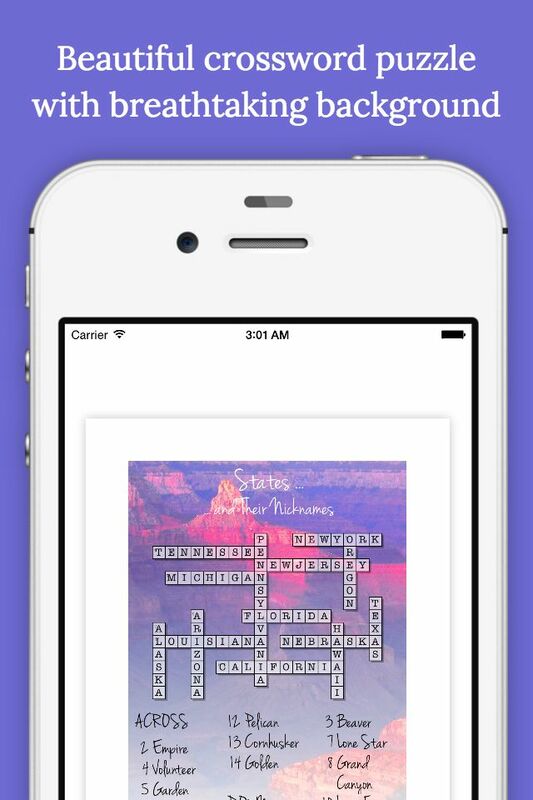 It is easy to make the crossword truly yours with beautiful typography, gorgeous background, and seamless gradients. 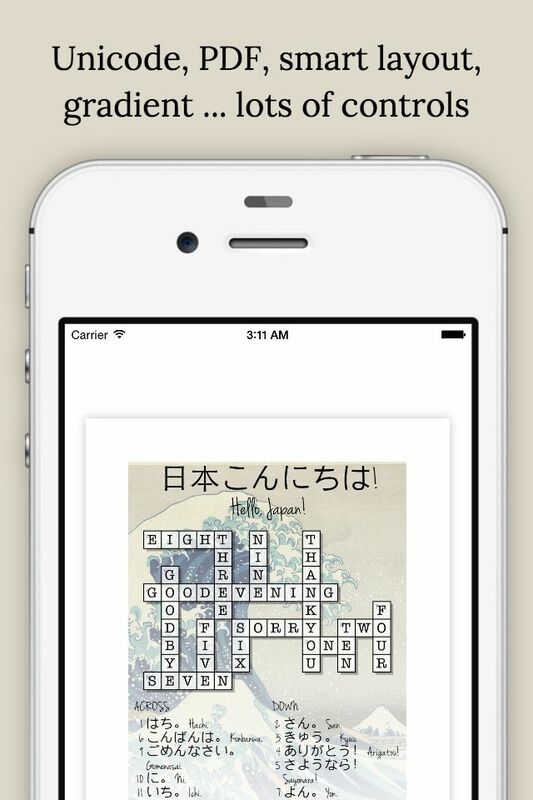 Generate the crossword puzzle automatically. Make smart tradeoff between sizes of title, crossword layout, and clues. Save a history of crossword puzzles you made, so you can make changes later. 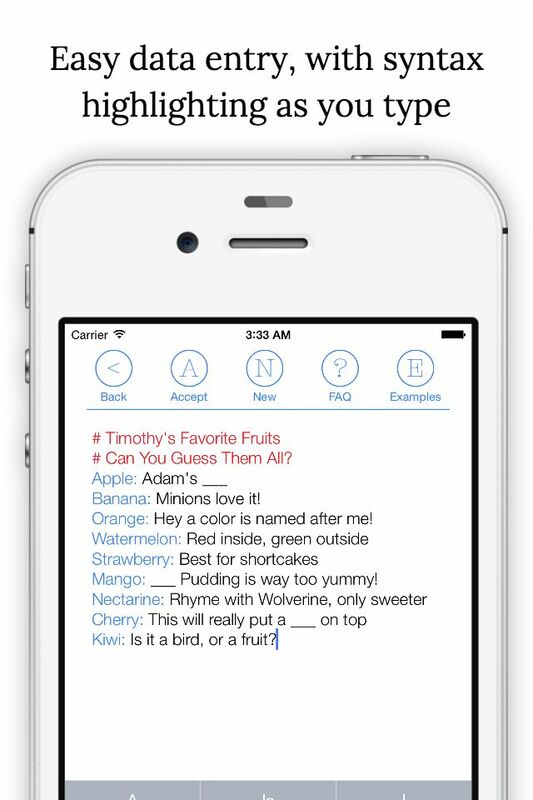 Type everything you need in one page in a simple format. Highlight title and clues automatically for you as you type! Make the most out of the single page to make the puzzle pop. Support background image: your own, 12 stock images, or plain. Magnifying glass (tap and hold to magnify). Background customization is easy - position, size, opacity, transition (fading). Transition allows for gorgeous backdrop without making words illegible. Automatically adjust title color (black or white) for best contrast. Single tap to change typeface, with a choice of 10 curated typefaces. 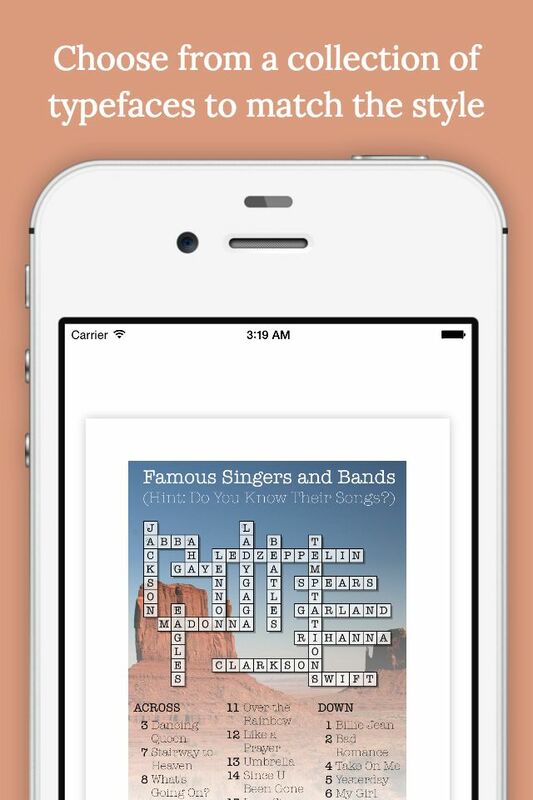 Share via Email - crossword and keys as two separate PDFs. Share via Facebook or Twitter (PDF).